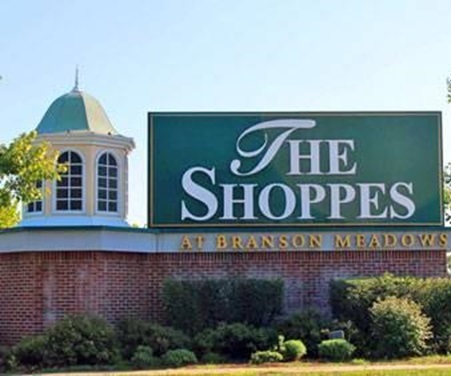 The Shoppes at Branson Meadows is a great shopping place where you can find many retail outlets and other specialty shops that offer quality home stuffs. Shoppers spend as much time browsing various styles of shops in this elegant Victorian outlet mall. This shopping spot features a clock tower that chimes every hour to remind guests how much time is left to enjoy the great features of The Shoppes. This outlet mall have shops for those who are looking for something to take home from Branson. Some popular brand names that you can find in this mall include Rue 21, Vanity Fair, Wrangler, Lee, and Dress Barn. At The Shoppes, you’ll not only enjoy great shopping but also gourmet foods and movie entertainment at the well-kept 11-screen cinema with stadium seating and digital surround sound. Some of the shops and specialty stores where you can find great buys include the Ozarks Quilts, Kitchen Collection, Neil’s Home Store, Touch of Class, Consignment Clothing Exchange and many other interesting shops. If you are looking for some handmade products like quilts, you can find it at the Ozark Quilts inside The Shoppes. Ozark Quilts has been selling quilts for almost 10 years. They have over 200 different styles of quilts which are available in king, queen, and also twin in select styles. They also offer many oversized quilts to fit pillow top mattresses and oversized beds. For your kitchen needs, it’s great to shop at Kitchen Collection where you can find everything you need for your family kitchen, from cutlery, bake ware, small kitchen appliances, gourmet foods and more. This shop is for that Food Network lover in you. If you are looking for things that can add beauty to your home, don’t miss to shop Neill’s Home Store at The Shoppes. This 25,000 sq. ft. furniture store features America’s Mattress Showroom all under one roof. Family owned and operated, the store offers a wide selection of living, dining, bedroom, and office furniture. This furniture store features brands such as Best Home Furnishings, Ashley, Broyhill, Southern Motion, LaCrosse, Serta, Vaughn Bassett, and many more. There are also great selection of lamps, rugs, wall décor, and accessories that can give your home a new look. Touch of Class is another great boutique at The Shoppes that offers Formal, Tuxedo, Bridal and Stage Clothing. This boutique is known for dressing famous Branson entertainers and virtually every bride and beauty pageant contestant in the area. For men, they have an assortment of texudos. The formalwear at Touch of Class is second to none. Bridesmade dresses are offered in over 70 different colors. For those who are not after newly-designed cloth wears, try pre-owned clothing for men, ladies, juniors and plus sizes that are of good quality at the Consignment Clothing Exchange. With over 200 items arriving daily, their inventory is constantly changing. So, if you are looking for a great shopping place in Branson, visit The Shoppes at Branson Meadows which offers quality home stuffs.